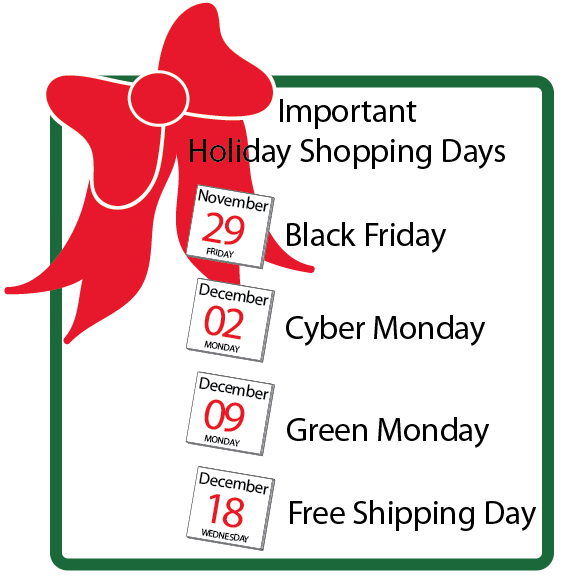 We’re headed into the biggest shopping season of the year. 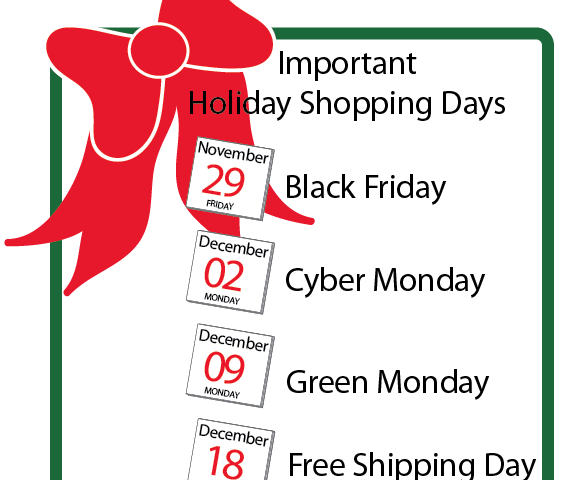 If you haven’t started preparing your holiday marketing campaign, it’s time! Here are some important dates to keep in mind as you work on your strategy and 4 tips that could make your efforts a whole lot more successful. Most businesses use remarketing to one degree or another in an effort to bring previous and potential customers back to their site to complete a purchase, sign-up, or other significant action. During the holiday season this can be a critical strategy. Shoppers surf all over the web and may not always remember your site or products. It’s important to put remarketing into place to be that reminder. Make your remarketing ads vibrant and eye-catching so they stand out from the websites they may appear on. Craft ad copy that’s direct, urgent and edgy to capture shoppers attention and give them a reason to return. This may include a discount code, a sale or simply a reminder that you have free shipping, the best price, or the product they are looking for. Now is the time to ramp up your efforts on the social scene. Get tweeting, post on Facebook, Pinterest, and any other social network and be a consistent presence. Get the word out about deals, products, and gift ideas. Try to make your content sharable and something people can easily digest. People will respond to things they can understand quickly and will act on things that are simple to do (i.e. liking or sharing a post). Product Listings Ads are the square ads you see on Google search and shopping that have a picture of the product, it’s price, and the url below. They are extremely successful for the obvious reason that it takes the search out of the search and provides people a visual and price of exactly what their looking for without ever clicking on a website. Especially if you are an ecommerce website with a variety of products, get involved in Product Lising Ads if you’re not already. If you’re already running PLAs, I recommend looking for ways to improve your data feed. Here’s a great article on some data feed best pratices from GoDataFeed. You can also contact a Google representative for suggestions. A website that always has the same pictures, calls to action and pieces of content can get a little boring. Spiff it up this holiday season by adding cheery photos, writing content on holiday specials, gift ideas or hosting a give away. Not only will this help your shoppers get in the holiday mood and maybe shop a little more, it can also have a positive effect on your search engine ranking for holiday and gift type searches. Give it a shot!